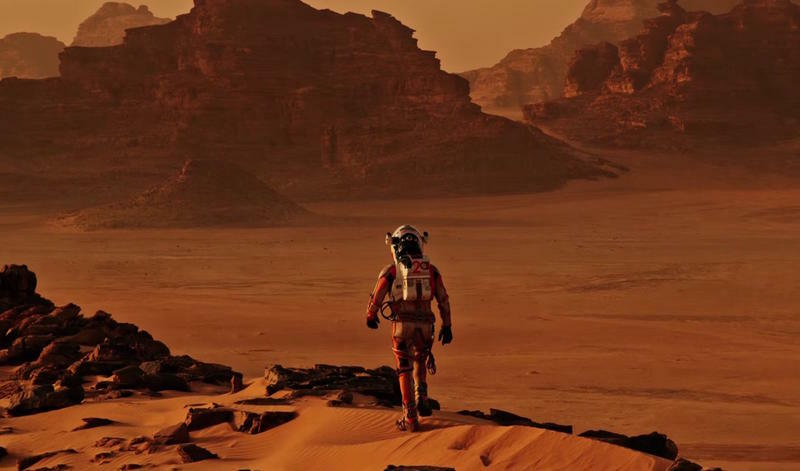 Want to see what Mark Watney saw when he got stranded on Mars? To celebrate NASA's Journey to Mars campaign, the agency has collaborated with FUSION Media and MIT's Space Systems Laboratory to create a new virtual Mars experience set to debut at South by Southwest next year. "Simulated environments have always been important in astronaut training," said Jason Crusan, Director of NASA's Advanced Exploration Systems Division. In the past, NASA has used simulated environments during training for big missions; Apollo crews actually spent one third of their training time in simulators. Meanwhile, lunar landing crews used simulators for more than half their training before embarking on the mission itself. With experiences like Mars 2030, astronauts will have access to physics-based simulations to help NASA better plan for when humans actually step foot on the Red Planet. After debuting at South by Southwest, the Mars 2030 Experience will be available for free for the Oculus Rift, Google Cardboard and Samsung VR, allowing any old chum to see what it's like to step foot on the Martian surface. When I was a kid, you had to use this thing called your Imagination; now you can virtually experience setting foot on a planet that's around 50,000,000 miles away. "Beyond practical uses for training, virtual reality offers us a compelling method to share the work we've been doing to design sustainable human missions and to inspire the next generation of pioneers in space," Crusan explained. Speaking of the next space pioneers, NASA is currently accepting astronaut applications, and you could be one of the first humans to go to Mars.